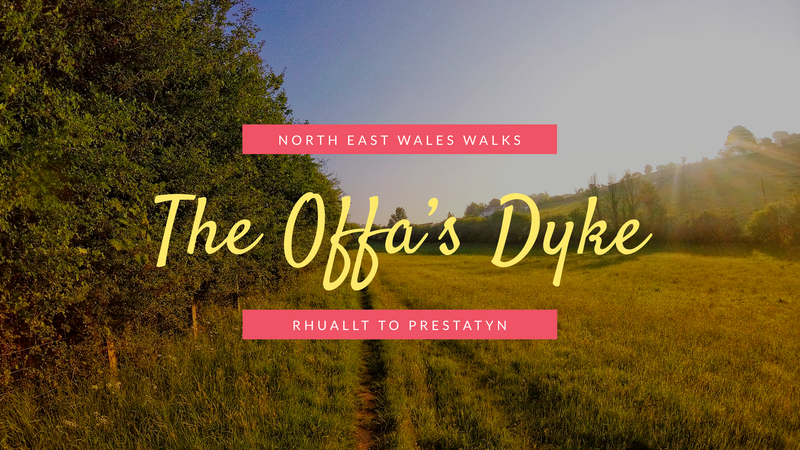 In this, the final part of our series on the Offa’s Dyke Path through North East Wales, we take you from Rhuallt to Prestatyn, the northerly termination point for Offa’s Dyke adventures. It’s a leg characterised by rolling hills, green pastureland and sea views. All in all, it’s another cracker! Usually, when I’m embarking on a good walk or trail run, I get straight on with it. No messing about. Just crack straight on. Unusually, this time was somewhat different. Apart from arriving in Rhuallt at the end of the third leg, I’d never actually been there before. If you read part three of this guide to the Offa’s Dyke Path through North East Wales, you will remember me commenting how sad I thought it was that daily, thousands upon thousands of drivers whizz along the A55 dual carriageway – the main trunk road that parallels the North Wales coast – only to completely bypass a huge portion of all that is great about this particular region. The trail from Rhuallt to Prestatyn literally crosses the bridge that straddles this super-busy section of road and yet most people seem oblivious to its existence. As such, when I arrived at the start of this final leg,I took myself off on a little wander. I found a lovely bench near the trail and sat down in the very early morning sun to enjoy a flask of coffee. It was bliss. I may well begin more future walks and runs this way. When I finally got going I had lots of company. Not human company, of course. This section of the trail is blissfully tranquil. No, suddenly, I found myself in a sea of sheep. There is something brilliantly Welsh about sheep and you can’t help but love them. Given the time of year, it was now getting towards the end of lambing season. Consequently, there were a lot of young and juvenile sheep out in the fields and watching them bound around, unbridled by fear and worry as I passed through was a joy. Obviously, if you’re thinking of taking your dog along on the walk with you, just be mindful of this and have them calm, under control and on a lead. That way, you can all enjoy the countryside together. Leaving the flocks of sheep behind and after a short climb, you’ll find that the land before you opens up and the trail narrows. I absolutely loved this section of the walk on the Rhuallt to Prestatyn path. In some ways I wanted these intermittent sections to remain a secret for only those in the know. But this place is just too good a section of trail not to be explored. If more families and kids, particularly, were using it, I’m sure they’d get the same profound sense of joy that I have in exploring these much quieter paths. Oh, and it is quiet! In fact, ‘path’ seems a little too formal for large parts of this final leg. Where you encountered clearly defined canal towpaths in leg one, and solid, broad, well-used rocky trails on leg two, here you only have the slightly warped long grass bending away from the wind’s prevailing direction to indicate that a handful of other beings have trodden this ground before you. If you are taking family members with you, stuff a picnic blanket in the bottom of your bag. This section was made for lazing about undisturbed in the long grass. Following a short section of woodland, you’ll now begin the ascent up Prestatyn Hillside. At just 235m/771ft it isn’t even close to matching the hills that you encountered a couple of legs ago along the Clwydian Range. However, this is a sneaky little hill with short, sharp sections that are particularly steep. It also has several false summits which then drop you back down a little. As such, particularly if you’re trail running this section, this packs a bigger punch than its size would suggest. Like I said earlier, this Rhaullt to Prestatyn leg offers so much more than just a means to the end. It is also when tackling Prestatyn Hillside near to the end of the Rhuallt to Prestatyn leg, that you’ll encounter your first glimpse of the end. Whether you’ve tackled the entire 177miles/285km from Chepstow, or you’ve simply (in my opinion) enjoyed the best bit, through North East Wales, that first sight of the Prestatyn coastline will be a very welcome one. From the high point on Prestatyn Hillside, both your mind and legs will be thankful that the end is now in sight. Furthermore, after some long and lung-busting sections of the trail now behind you, it’s all, finally, downhill from here. This final part of walk will take you through Prestatyn town centre, following the acorns that adorn intermittent lampposts, to the beach. It’s well worth, stopping here for a celebratory drink or two. As this is a prestigious Blue Flag beach you can be sure that it’s a stretch of sand where you can while away a good few memorable hours. In fact, as it’s one of 47 Blue Flag beaches in Wales, it means that Wales has more Blue Flag beaches than any other part of the UK. So, when you’re considering the destination for your next walking or trail running break, you know that Wales has the answer. Talking of fantastic beaches, if you’re intending to extend your stay in the area, there are lots of other great beaches in North East Wales. Our particular favourite is Talacre beach. With its iconic lighthouse, protected dunes and vast expanse of sand, it’s an awesome place to explore. A top tip is to get there mega-early before anyone else arrives. We’ve been known to take our beach shelter and the camping stove and cook up a very early morning breakfast watching the sunrise. We’ve eaten, relaxed and gone before anyone else has even turned up. Whatever time of year you’re planning to tackle the Offa’s Dyke Path, have a look what is going on in the area. When I completed this awesome walk from Rhuallt to Prestatyn, it happened to coincide with the Prestatyn Walking Festival. Utilising the natural beauty and variety of its surroundings, this walking festival also has something for everyone. 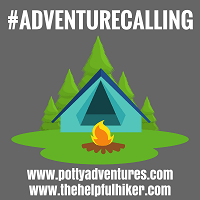 With everything from accessible walks suitable for wheelchairs and pushchairs, to highly energetic walks, testing even the most regular of ramblers, it’s a great one to engage with if you’re new to the area. Karen, the next best thing to mummy recently posted…Should toy guns be banned? Now that’s the kind of hike I wouldn’t mind trying with our gang. It looks so beautiful and quiet. And surely, this Blue Flag beach at the end calls for a swim, right? And a flask coffee outside is the best coffee there is! Emma Hip2trek recently posted…Skipton to Saltaire canal walk – A Britain’s Favourite walk! I’ve loved reading this series and following the path along with you. These photos are just stunning, such a gorgeous light and it was looks so peaceful. The beach is a great place tot end up, I’m sure we could easily spend a few hours there.